School teachers in an Ondo State community have gotten themselves into more trouble than they saw coming after allegedly cutting the nails of pupils and collecting blood samples from them. Two teachers identified as Blessing Omowera and Sola Kalejaye, have been arrested by the Ondo State Police Command for allegedly using human parts for ritual purpose, Punch Metro reports. 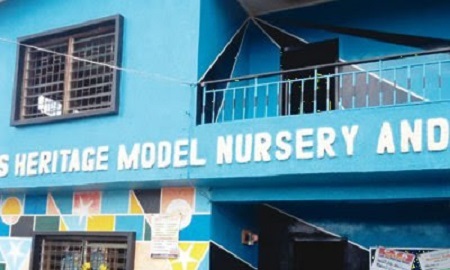 According to Punch Metro, it was gathered that when one of the pupils got home, she informed her father what the teacher did to her in the school, and the parents reported the matter at the Ondo Area Command, Ondo.